From Engineer to Owner – How Important Are the Owner’s Project Requirements (OPR)? How do I stop acting like an engineer and transition to thinking like an Owner? I find myself in a very strange position – I’m building a house, which is great for all the reasons you’d be excited about building a house. But it’s also a little unsettling, because I’m used to being the engineer or consultant, not the Owner. So how do I stop thinking like an engineer and more like an Owner? Maybe that’s a question better left unanswered. We’re not too far along in the project, but I’ve come to appreciate the Owner’s perspective a little more. For one thing, you’re peppered with questions at the beginning and along the way (at least I hope you Owners are). I mean, if you’re paying to have something built (or you’re the Owner’s representative), you have to live with the decisions, and hopefully you’re asked for input before the work starts. Luckily for us, the decisions so far have only involved some colors and finishes. Our family’s decision making process involves more than one person, as is usually the case when a family builds a home, and I’m reminded of how project teams have to make key decisions after (hopefully) reaching consensus. Some things, like certain finish colors, don’t matter that much to me, but hey, I’m not too much of an aesthetics guy. I’ve largely managed to avoid going “all engineer” on our contractor, so I don’t think I’ve driven him crazy yet. Or at least he hasn’t said so, which is just as good. The other thing is trust – there’s a certain amount of trust we place in each other, whether you’re the Owner trusting the design team and builders, or having faith that things are going well. But there remains a certain amount of “but verify” that follows the “trust” part. 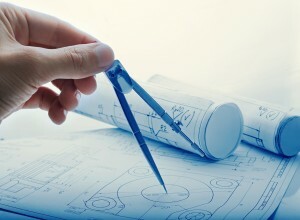 A great example is the plan set we have – pretty good as far as drawings go, but there are some missing details, that left unexplained, could lead to problems down the road. A good example is flashing and penetration preparation details. There are none on our drawing set. There are a lot of construction related items that will rely on the builder’s knowledge and the workmanship of his direct employees and subcontractors. Knowing what I know, and seeing problems like I have, this is a bit outside my comfort zone. So how do we make sure things get done correctly, if at all? Or is ignorance bliss? The real answer is probably yes and no. I’ve visited the site pretty frequently, partly because I’m excited, and partly because there are certain construction details I want to make sure are correctly installed, like the window openings, drainage planes, and flashing. I’ve seen how construction defects can cause disputes (and worse – unhappy families and litigation! ), and also mold and moisture problems. Sometimes it’s fun to work on those projects, but I have yet to see an Owner that’s thrilled to have construction defects, mold, or moisture problems. How do I make sure I communicate the Owner’s Project Requirements to the Contractor, so the job meets my OPR? This brings to mind some of our recent blog posts – especially the ones dealing with determining the Owner’s Project Requirements (OPR). As an engineer, I want to make sure the projects meet my client’s expectations, and so we work to develop and meet the OPR. Having said that, now I’m the Owner, and you better believe I want the project to meet the OPR! So in some ways I have to do twice as much thinking (dangerous) – I need to think of important issues/problems I want to solve or avoid, and at the same time effectively communicate with the Contractor. The good news is the Contractor is a very well respected and accomplished contractor, so this hasn’t been an issue. In fact, this Contractor has his own way of determining the OPR (although he doesn’t call it that). He’s taken steps to make sure there’s a pretty good overall flow in the process, while allowing adequate time for decisions and discussing options. For you Owners out there, I understand a little better how you probably feel about your projects – a mixture of excitement and apprehension. So far it’s been a lot of fun. I hope your projects involve more fun for you this year. Developing and meeting the Owner’s Project Requirements can help make the job more fun. Or hopefully a little less stressful. Stay hopeful, my friends. Contact me for a free tip sheet for helping your projects meet the Owner’s Project Requirements.